Other than water, gasoline may be one of the most common liquids we are surrounded by every day. It is in our vehicles and yard equipment. It is in underground tanks and in tanker trucks. According to the U.S. Energy Information Administration, Americans use an average of over 365 million gallons of the fuel every day. Even though gasoline is so common, it is very much misunderstood. Here is a look at some facts and myths about the fuel you use every day. Will a higher grade of gas get you better mileage? Unless your manufacturer recommends it, experts say buying premium or even mid-grade gas is not necessary. Can cellphones cause fires when you are pumping gas? There is no proof a cellphone can cause a fire while filling your gas tank. Spontaneous gas station fires have however, been traced to static electricity. Can you save money by filling your tank at particular time of day? Many believe cooler gas provides a better value. The trouble is, since underground tanks are insulated, the time of day is less relevant to its actual temperature. Will topping off my tank get me more gas? Actually, any gas you dispense after the pump automatically shuts off may be going back to the gas station as part of their vapor recovery system. Overfilling may also result in damage to a car's evaporative emissions system. Can gasoline additives help increase mileage? So far, the EPA has not found any off-the-shelf additives you can buy to improve mileage. Will turning off the air conditioning improve gas mileage? According to the Department of Energy, turning off the air and opening windows will only save you gas when traveling at 40 miles per hour or less. Were the first oil wells in the U.S. in Texas? The first oil well in this country was drilled in Pennsylvania back in 1859. Actually, gasoline vapors are highly flammable. Flames from gas vapors can sometimes been seen far from their source. What is included in the cost of a gallon of gas? 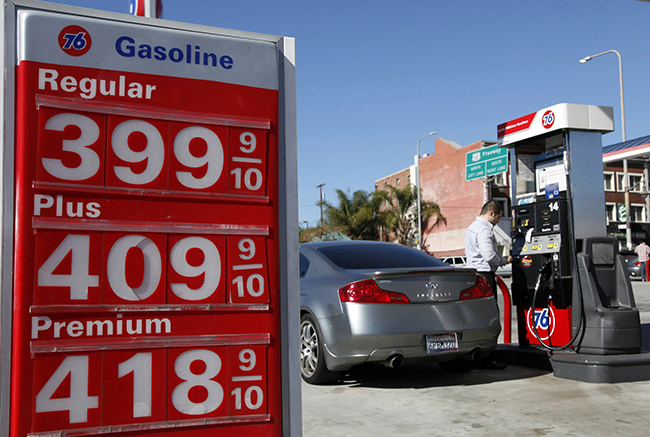 The price of crude oil accounts for 70% of the cost of gasoline. Refining costs (including profits) account for 12%, marketing and retail costs accounts for 6% and taxes, on average, account for 13% of the cost of a gallon of gas. One fact is clear, defensive driving can save lives. It may also save you money on your auto insurance. Learn more about online defensive driving courses available in your state.